The Mesoamerican Reef (MAR) is one of the places in the world that is most vulnerable to climate change. Nearly 2 million people and a growing tourism and fisheries sector are at risk. Hurricanes are the most harmful climate threat to the region. Twenty hurricanes have hit the region during the last 15 years and often cause immense devastation. For example, Chetumal was wiped out by Janet in 1955, Belize City by Hattie in 1961, Honduras and Guatemala by Mitch in 1998, Cancun by Wilma in 2005 and Mahahual by Dean in 2007. Furthermore, sea level has risen between 30 and 40 centimeters in the last 60 years causing beach erosion and flooding along the coast. IPCC predicts that another 60 centimeters will rise by the end of this century. The triad of sea level rise, more frequent and more intense rains and extensive development in risky areas are causing more severe floods and particularly affecting disadvantaged people. Municipal, state and national governments, communities, and the private sector are searching for appropriate, feasible, and cost-effective coastal and marine adaptation measures to reduce their vulnerability and risk. It has been documented that coral reefs, mangroves, seagrasses and sand dune vegetation offer coastal protection to communities and infrastructure in the Mesoamerican Reef and governments and communities could include an important and cost-effective component to reduce the vulnerability of their people, livelihoods and economy. The Mesoamerican Reef provides an opportunity to prove the case for natural solutions with on-the-ground interventions that aim to influence local and national governmental policies and regulations, channel new funding and promote best practices that protect and restore the natural systems that provide valuable coastal protection. The JL Foundation and USAID has funded our efforts in Mexico, Belize, Guatemala and Honduras. Tourism, coastal development and growing cities and communities are severely affecting coastal ecosystem that provide protection against sea level rise, storm surges, strong winds and flooding. TNC and partners need to demonstrate the cost effectiveness of using coral reefs, mangroves, sea grasses and sand dune vegetation along the coast. TNC has partnered with universities, local NGOs and state and municipal government to identify for appropriate solutions, some implemented already by local communities for centuries, and others new practices that need to be spread out. These partnerships will monitor the effectiveness of these practices and conduct cost-benefit analysis to ensure and demonstrate their cost-effectiveness. TNC and partners are preparing training for coastal developers, builders, hotel owners and cities staff to learn and use the concepts and tools developed by the initiative. Climate change events put at risk the lives and well-being of the two million people that live in its coastal cities and communities. It also jeopardizes the stability of its tourism and fisheries industries, which are the engine for the region’s economy and a key source of income and food. Approximately eight million tourists visit the region each year generating $6 billion, while fisheries provide employment for 40,000 fishers, and contribute $450 million to the region’s economy annually. These people, their cities, infrastructure and livelihoods are at high risk due to climate hazards. Fortunately, the coast is still blessed with an extensive mosaic of mangroves, flooded savannas and forests, coral reefs, seagrasses and sand dunes, which continue to protect coastal cities and communities from the tip of Mexico’s Yucatan Peninsula through Belize and Guatemala to the Bay Islands of Honduras. The MAR spans 625 miles and is considered to be one of the most diverse ecosystems on earth. It is the largest coral reef system in the Western Hemisphere and the second largest in the world after Australia’s Great Barrier Reef. However, these natural habitats are highly threatened by pollution and direct destruction caused by coastal development and agriculture. These pressures threaten the ecosystem’s capacity to provide the key environmental services to coastal populations and businesses, such as coastal protection, fisheries habitats and tourism attractions. Seawater warming up and ocean acidification are further threatening corals and fisheries. It is well know that the best approach to increase their resilience to climate variability is to conserve healthy and representative habitats by establishing protected areas and reducing the stresses they receive like pollution and overfishing mentioned above. establishing long term finance mechanisms for adaptation. Conduct Coastal Hazard Analysis y Adaptation Plan for Costa Maya in Mexico with municipal government, developers and communities. 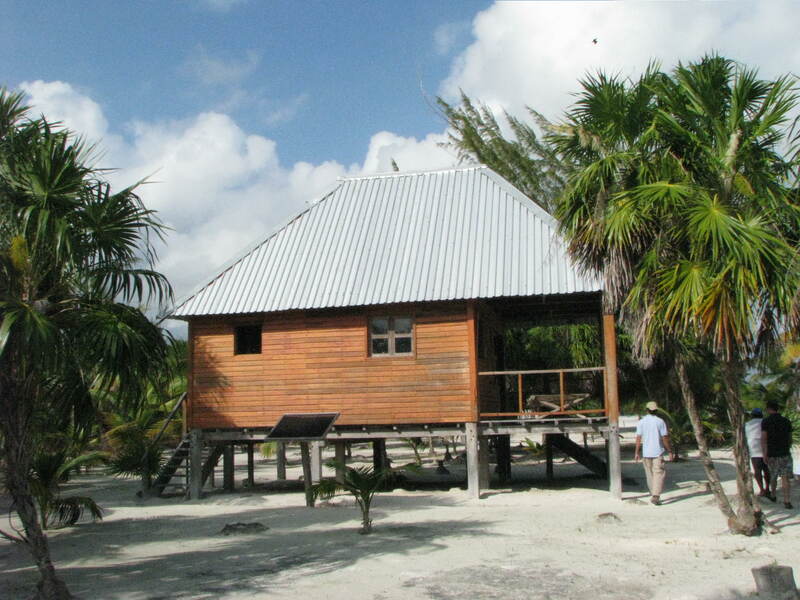 Establish a National Climate Change Adaptation Fund in Belize. Support the creation of 4 marine protected areas and consolidation of 2 recently created. All information generated during the Regional Vulnerability Analysis, for Costa Maya will soon be posted in the Coastal Resilience network decision support tool to be used by governments and other stakeholders. Real Estate developers, hotel owners, municipalities and community leaders are involved in the process and with full access to the information generated. The first pilot process is Costa Maya (Mexico), and will be replicated with different municipalities.